RM Sotheby's will be auctioning these classics on May 27. As a car guy, I have minimum experience with bikes. They've consistently caught my interest, but my clumsiness and admitted fear have kept ownership at bay. But that doesn't mean I want one any less. Classic cafe racers and superbikes have an unquestionable appeal that speak to any petrolhead, and all of the history that they carry makes it all the better. Up for auction this month is a significant compilation of vintage motorcycles that are expected to set records with high dollar reserves, and taking one look at the list will give you a good guess as to why. 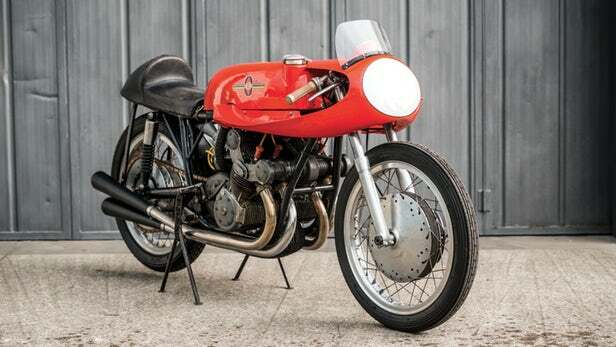 The most expensive bike on this lot is a beautifully crafted 1957 Gilera 500 4-Cilindri in, what else, a red guise. Dubbed "the ultimate racing bike of the Golden Era," the motorcycle features a flowing design that backs up its first-rate performance. It is the last of 15 racing 500 GPs and was raced by Derek Minter, John Hartle, and Phil Read. 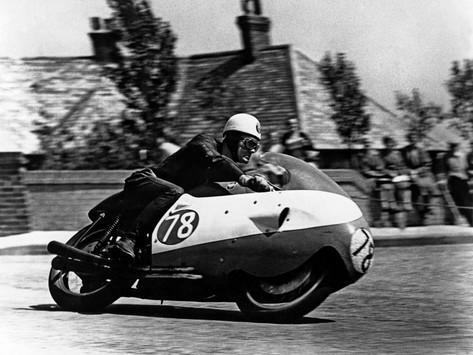 The Gilera participated in races at the Hockenheim and various other European circuits, making it rich in both history and skill. It's expected to fetch between 380,000-450,000 Euros, topping the range of available units. Other selections include classic Indian Scouts, the MV Agusta 500 3-Cilindri, and a classy Norton Manx, among others. It's a perfect mix of pre-war machines and contemporary interpretations, promising to be one of the most memorable auctions in RM's recent history. The event will take place in Lake Como, Italy on May 27. It will be nothing short of a typical Concours style event with moguls and affluent buyers aplenty, but all we really care about are the bikes up for grabs. Check back in to see how these fair as we're sure it'll be a notable sale for the moto bike legends. There are about to be five exquisite collector-grade Porsche lots auctioned off on the shores of Lake Como. Oh, and a new 911R will be there, too. Fully-restored SdKfz 2 hits the auction block at Goodwood this weekend. Buy it.